You are most welcome to come along to any of our Gospel Services which are held at 10.30am on Sunday mornings. View the current titles and listen to the talks here. We also have a coffee morning every Friday from 10.30am to 11.30am. Details of our Sunday School and Youth Groups can be found here. Our Communion Service is held at 11.45am on Sundays. All are welcome to attend, but only members can share the bread and wine. 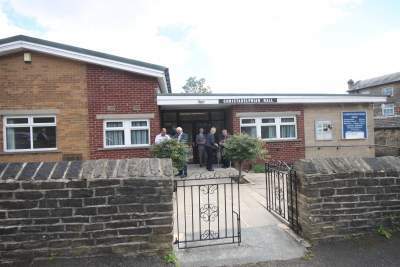 West Yorkshire Christadelphians - information about the Christadelphians in West Yorkshire, England. Life's BIG Questions - the answer to all the important questions you have. The Christadelphians - lots of information about the Bible and the Christadelphians. This is your Bible - this site has a vast amount of information, and you can also ask questions about the Bible if you wish. Bible Quizzes - a site which has a wide variety of Bible quizzes and other information.